MANBIJ /Syria/, January 8. /TASS/. 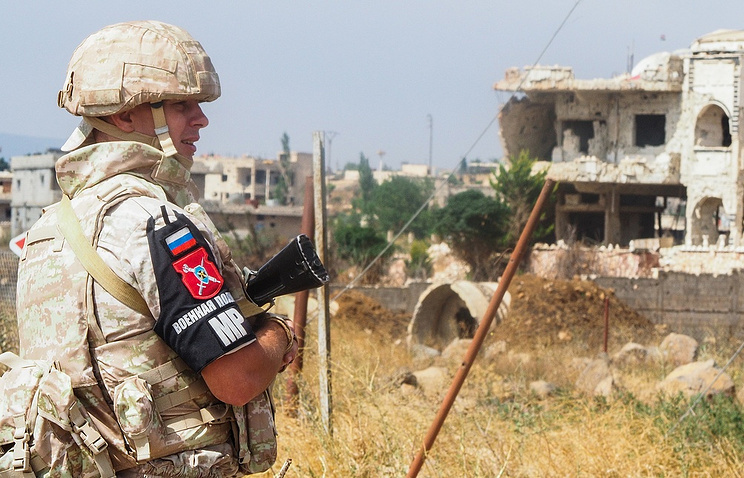 Russian military police have started patrolling the surroundings of the northern Syrian city of Manbij in the Aleppo governorate, near the border with Syria, spokesman Yusup Mamatov told reporters. "Today we started patrolling the security zone near the city of Manbij and its surroundings. The task is to ensure safety within the zone of responsibility, to control the positions and movement of armed groups," he said.